Vitamin D3, Vitamin D2. They’re the same thing right? Well, no. Disease prevention from Vitamin D is very much affected by which type of Vitamin D that you are taking. Vitamin D comes in two different formulations. Vitamin D2, also called ergocalciferol; and Vitamin D 3, also called cholecalciferol. Vitamin D2 was the first synthetic form of Vitamin D and is the form of vitamin D in almost all Vegan Vitamin D supplements. 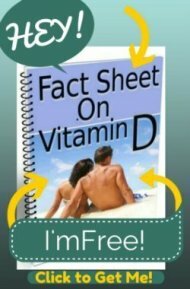 It was used, and still is in many cases, to fortify foods, make some Vitamin D supplements and is the basis for ALL Prescription Vitamin D. Many over the counter Vitamin D supplements and ALL prescription Vitamin D supplements contain Vitamin D2. So what's the difference? Vitamin D is Vitamin D, right? And a PRESCRIPTION is going to provide a form with the best Vitamin D absorption and the best quality, right? Unfortunately, no. But it is a far inferior form of Vitamin D that does not get absorbed into the body well. This is a phenomenon called bioavailability- or in this case simply Vitamin D Absorption. Many vitamins are not necessarily bioavailable, therefore taking vitamins does not mean that you actually ABSORB the vitamin. “Vitamin D2, or ergocalciferol, should not be regarded as a nutrient suitable for supplementation or fortification.” From ‘The case against ergocalciferol (vitamin D2) as a vitamin supplement’. Houghton LA, Vieth R.
"...Vitamin D2 is only about 20-40% as effective as cholecalciferol …” Michael F. Holick, ‘The Vitamin D Epidemic and its Health Consequences’. If it were simply an issue of Vitamin D Absorption, then you could simply take more to do the same job. But unfortunately, vitamin D 2 just doesn't DO the job that vitamin D is Supposed to do. One consequence of vitamin D deficiency is that the Parathyroid Gland becomes overactive, altering calcium metabolism. When vitamin D is replenished, then parathyroid hormone is lowered back to normal levels. But in a few studies, the parathyroid hormone was NOT decreased to normal with the administration of vitamin d2, but it DID decrease to normal with the Vitamin D3! You can see that Vitamin D Absorption and effectiveness is dependent upon which type of Vitamin D you choose, and that it’s a no-brainer to choose the right form of Vitamin D supplement. If you choose to do Vitamin D Therapy , don't bother getting a"Prescription Strength" Vitamin D supplement, just go Buy Yourself a Bottle of Vitamin D 3 instead. Make sure that it says Vitamin D 3 or cholecalciferol. Even better, if you want to avoid Vitamin D Side Effects, get the full Vitamin D Absorption Pack we've designed as a result of the many side effects that people experience from not taking vitamin d the 'smart' way. But aren't Vitamin D 3 supplements dangerous? Can't you Overdose on Vitamin D? There is a risk to everything that you do. So, of course there is a risk with taking Vitamin D 3 supplements. But.... click next find out the truth. 5000 IU Vitamin D 3 Supplements- Vitamin D3 is really the ONLY vitamin d that you should be taking. Get Vitamin D 3 in a clinically relevant dose for adults Sunshine Mist Vitamin D Spray- This Vitamin D3 is GREAT for kids. Just a spray a day is all it takes. The Vitamin D Solution: A 3-Step Strategy to Cure Our Most Common Health Problem- Take a look at this EYE OPENING book. This fascinating account of the health benefits of Vitamin D will keep you turning pages far into the night! Why is Vitamin D2 All that the Doctors Prescribe? Can taking Vitamin D3 correct Vitamin D2 deficiency? Supplement with D2 or D3? 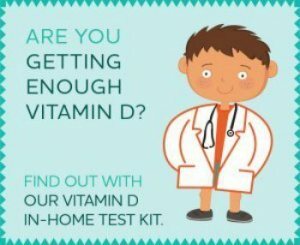 Vitamin D or specifically Vitamin D3?